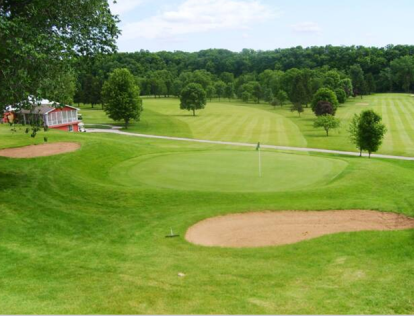 Acorn Park Golf Club is a Public, 9 hole golf course located in Saint Ansgar, Iowa. Acorn Park Golf Club first opened for play in 1981. This flat course is very walkable. The greens are fast, and the tree-lined fairways are narrow. Par for the course is 35. From the back tees, the course plays to 2,490 yards. From the forward tees, the course measures 2,262 yards. The longest hole on the course is # 9, a par-5 that plays to 442 yards. The shortest hole on the course is # 8, a par-3 that plays to 130 yards from the back tees. Watch out for # 6, a 376-yard par-4 challenge and the #1 handicap hole on the course. The easiest hole at Acorn Park Golf Course is # 5, a 133 yard par-3.